Today is National Chicken Wing Day — Who knew there was a day for Chicken Wing Lovers like me! 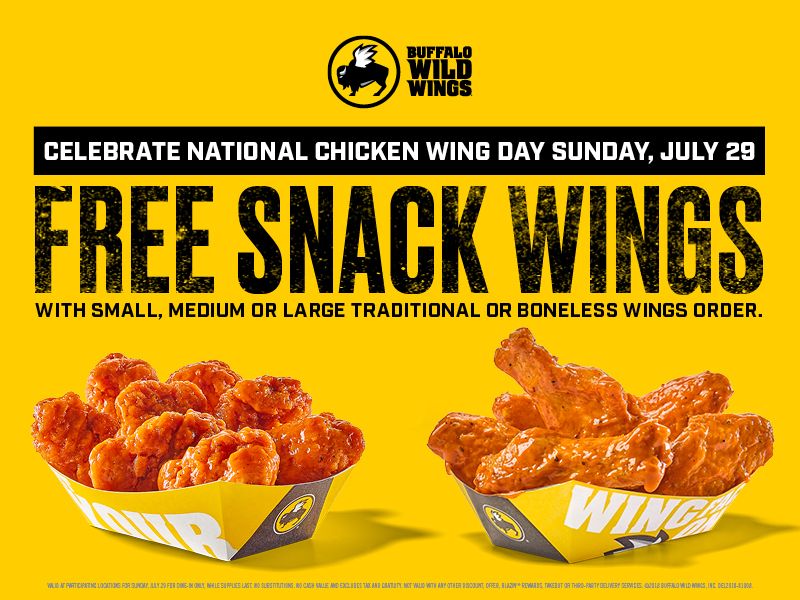 Don’t forget to go to your local Buffalo Wild Wings for a free snack-sized order of boneless or traditional wings with the purchase of any small, medium or large order of wings. This offer is available for dine-in orders only. It’s well worth the trip!